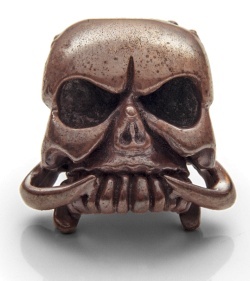 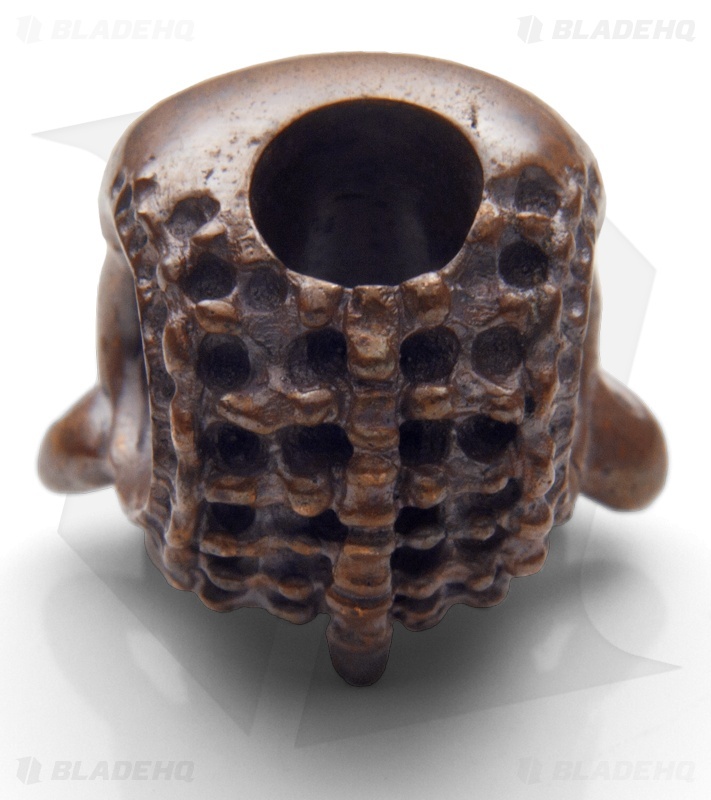 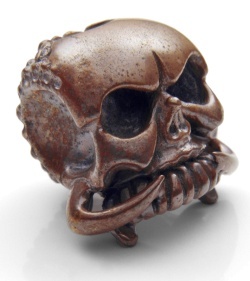 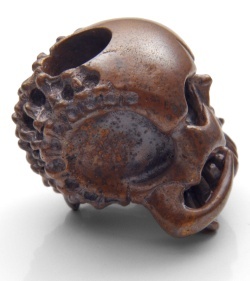 This numbered Phantom Steelworks Seeker skull bead is an extraordinary accessory. 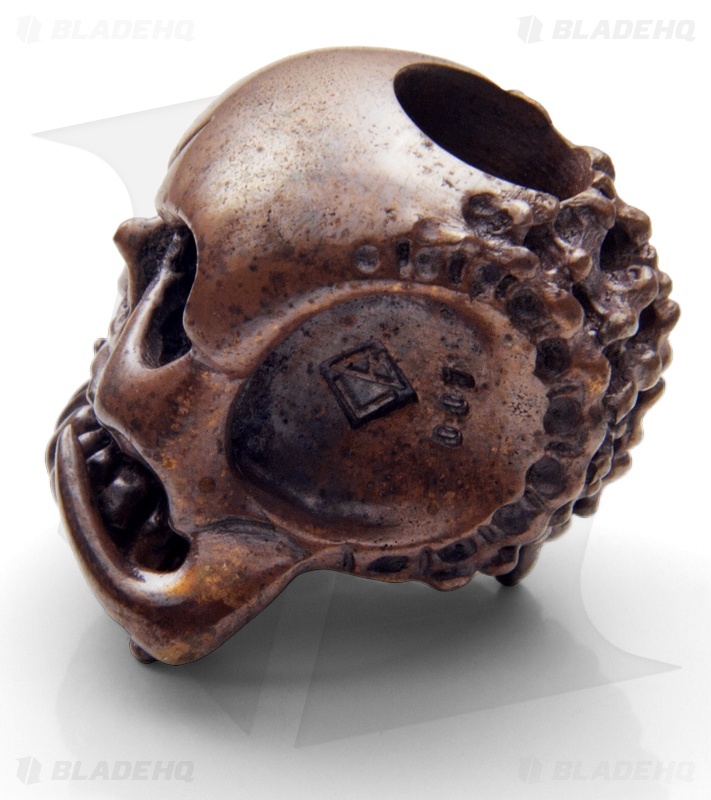 It is a Chris Black Design that has been crafted from copper. Since it is copper, you can expect it to gain character over time in the form of tarnish.